I recently finished making one of my treasure bags. I wrote about it here and mentioned that I would make a tassel tutorial soon. Well I was a bit delayed because I realized after I took all the pictures that the colors of the tassels were way too dark for people to see what I was doing. So I remade one with lighter colors. I am a thrifty person and hate to throw anything away. 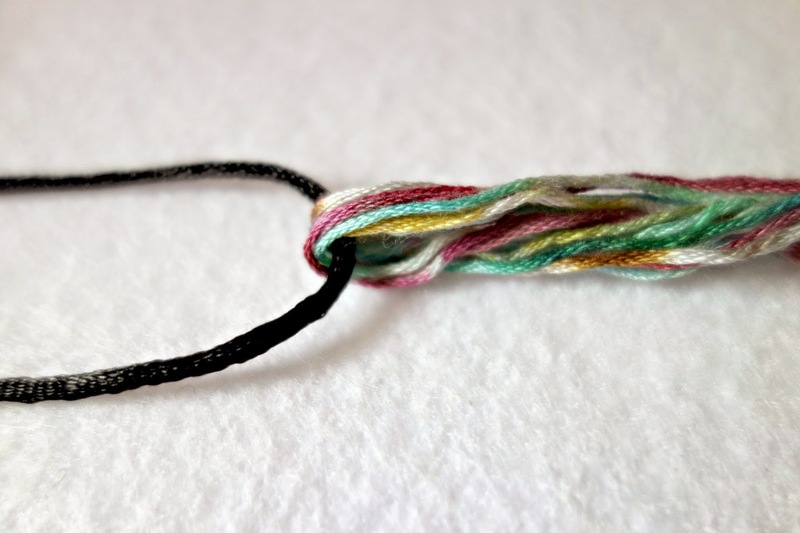 Whenever I dye my cotton embroidery floss I wrap it into big hanks. I tie those hanks in several places to keep them sorted so they don't end up a big mess when i am done with the dyeing and washing. 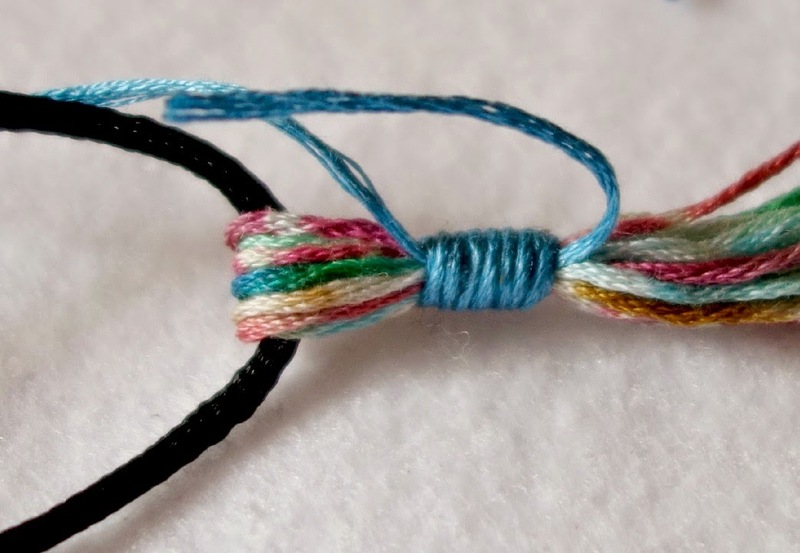 Now when i first started doing this I would tie them with any old yarn or bits I had around, then i would snip them off and throw them away when done. I realized this was a waste, even if a small one, and started tying them with floss itself. 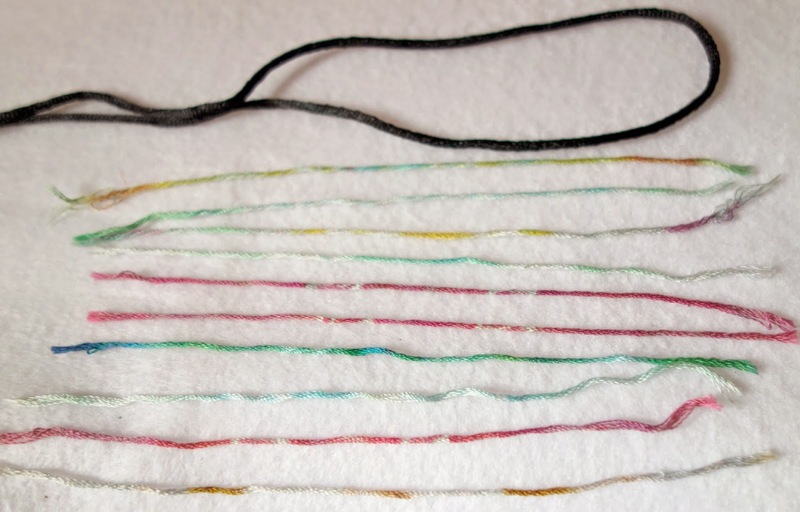 What i ended up with was lots of little 4-5 inch pieces of wonderful dyed floss. They work perfectly for making small tassels. Now you can do this with any 6 ply floss and still get nice results. 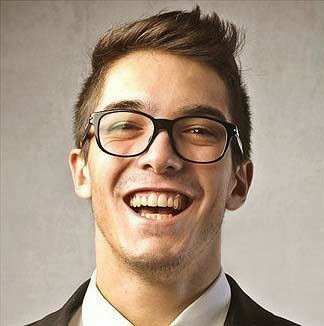 If you want to try to recreate the look of mine you can try using variegated floss, or even several pieces of different colored floss. thicker tassel just use more pieces. Take these and fold them over the cord you will be using. Then take the floss you will be wrapping at the top and make a loop with that floss, setting it up against the folded pieces. You want the loop pointing down towards the ends. 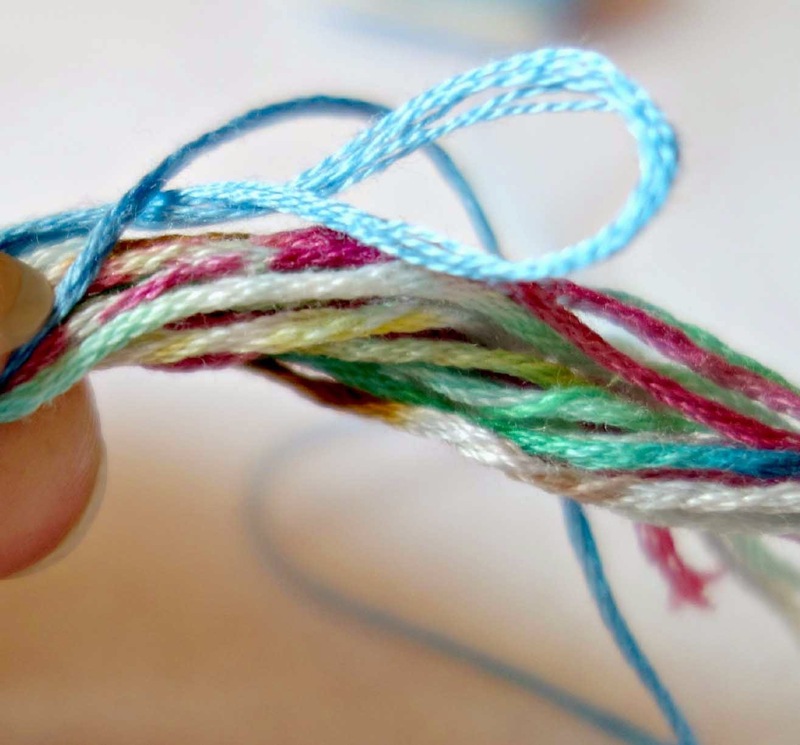 Now start wrapping your floss around the folded pieces, first wrapping two or three loops up towards the fold and then back down towards the ends. Wrap about 3/8" down, then back up to where you started and then back down again. So in the end you have three layers of wrap. 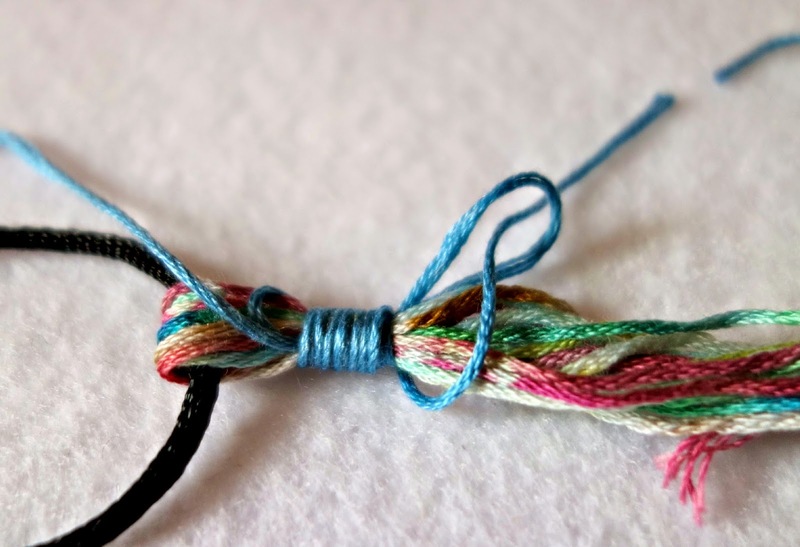 Cut off your wrapping floss and thread the end through the loop. Pull the end of your wrapping floss that is sticking out up at the top slowly...the loop that your floss is threaded through will slowly go up into the knot. Pull it tight till the loop is all the way into the knot and seated firmly inside. 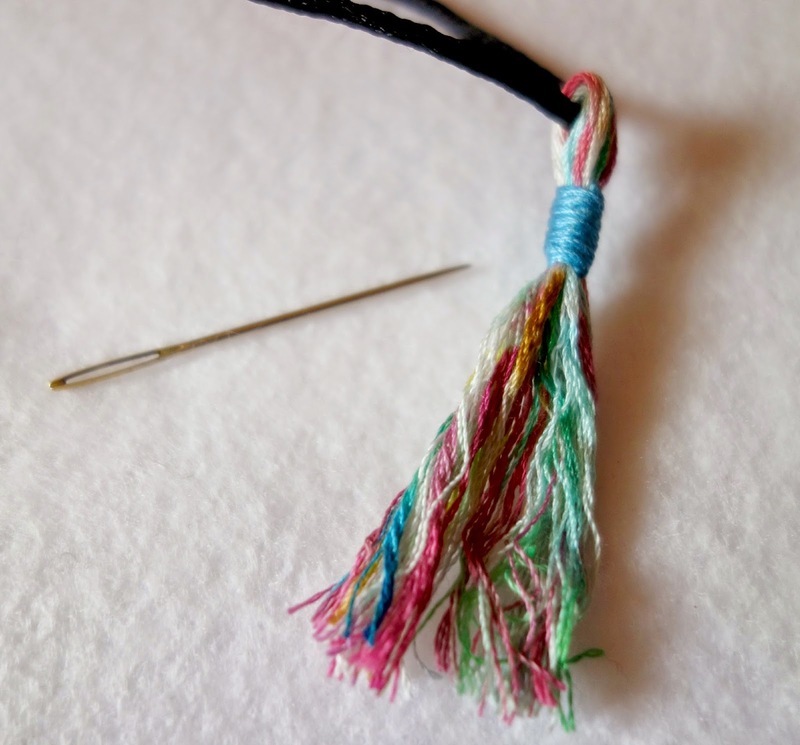 Trim off the two threads and then trim the ends of your tassel even, then run a blunt needle through the pieces to separate them. Voila, a beautiful cotton tassel. 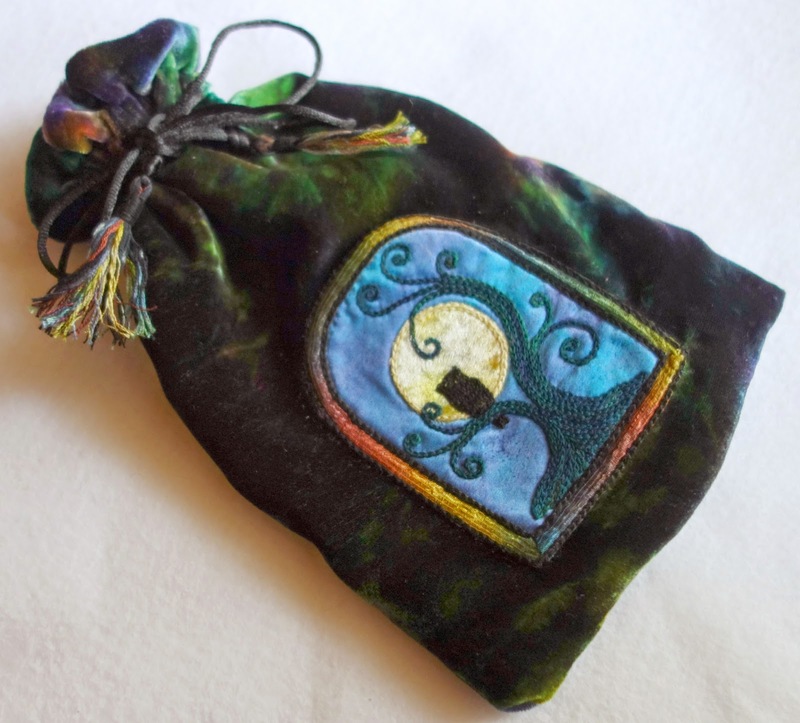 I love the look of these on my hand dyed silk velvet treasure bags. They are the perfect finishing touch. 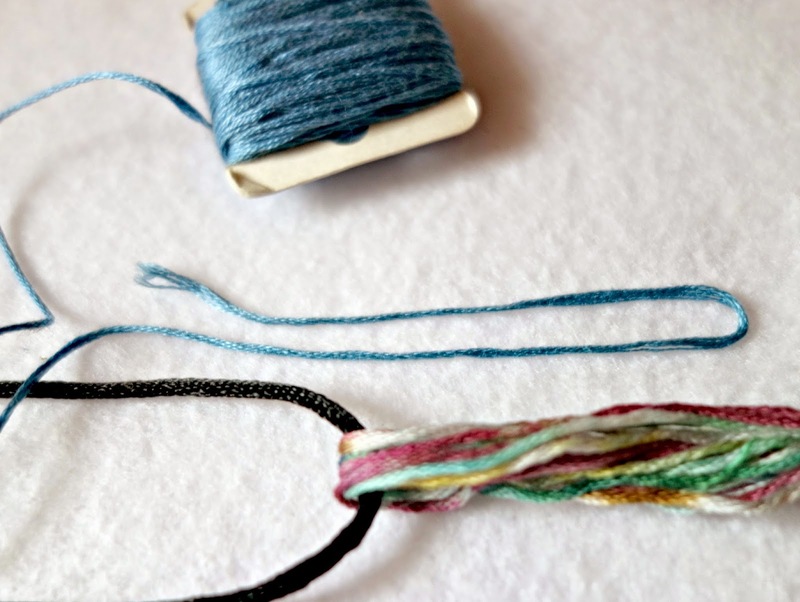 You can also use this method with other types of thread, though silk can snag easily to use with care.